Here at the Lawler Group, our team of management recruiters in Milwaukee understands firsthand just how difficult the job search process can prove. No matter what type of economy we’re currently in, landing an employment opportunity that meets candidate qualifications as well as expectations can prove challenging, especially if they’re going it alone. Without the help of a highly-skilled team of management recruiters in Milwaukee, candidates from every industry can easily find themselves being overlooked again and again. At the Lawler Group, we often partner with candidates who feel overwhelmed with the entire job search process. They come to us discouraged and feeling that there are just far too many factors that are out of their control for them to ever successfully land a new opportunity. From having too many applicants for a single position, to constantly facing a sluggishly moving human resource department and a wide range of factors in between, many candidates come to us feeling like the odds are stacked against them and they’ll never find a job. While our team of management recruiters in Milwaukee recognizes that there will always be external, uncontrollable factors in every job search, we also know that there is much in the process that we can control. We work closely with every candidate we partner with to determine if they are, in fact, hindering their own hiring process. What we find through our discussions often surprises even our most polished applicants. They are shocked to learn that, in many cases, they are proving a major obstacle throughout various stages of the hiring process. The Lawler Group’s team of management recruiters in Milwaukee begins the coaching process with the candidate’s resume. It’s imperative to remember that this document plays the most critical role in any applicant’s success so it must be perfect. Formatting errors, typos and gaps in work experience are all ironed out to ensure our candidates are poised to make the best first impression possible. Additionally, here at Lawler Group, we often find candidates who have wasted time applying for positions that they are unqualified for or overqualified for. We understand that many hiring managers will instantly overlook candidates that aren’t in-line with the position’s qualifications. That’s why we work to only submit an application for positions that truly resonate with each candidate’s specific skillset and experience level. The team at the Lawler Group also understands that the hiring process extends far beyond the interview phase. In order to feel comfortable enough to extend an offer, employers will often check references, run background checks and even perform online searches on a specific candidate. We work diligently with our candidates to ensure that they have everything they need to put their most professional foot forward to enhance their hiring odds. Are you tired of going it alone with your employment search efforts? The Lawler Group can help. 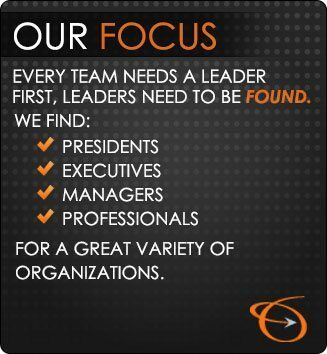 Contact us today at 262-241-1600 to learn more about our distinctive approach with candidates.